A baseball’s drop is its weight in ounces minus its length in inches. So a 30 inch bat that weighs 20 ounces would have a drop of -10. If you are playing high school or college baseball you need to use a BBCOR approved bat and the BBCOR only gives the OK to bats with a -3 drop. (Between 29 and 35 inches and 26 and 32 ounces.) So if you are planning to play high school or college baseball,you will need to buy a bat with a -3 drop. Bats specified to the height to weight ration tend to be pretty expensive, but here are the four of the cheaper bats with -3 drops on the market. They are available on their companies’ websites but you may be able to find them for slightly cheaper on Amazon so make sure to check that out too before you buy. Easton lowest priced BBCOR approved bat on the market. It has 2 ⅝ barrell and the aluminum bat is made from 7046 aircraft alloy. It is able to meet BBCOR requirements thanks patent pending barrell technology that braces the bat at critical points in its construction. The bat has a thin 31/32 handle and features and cushioned grip. This one piece design bat comes with a one year warranty and since it’s not a composite it doesn’t need any breaking in. Those who have bought the bat say it hits like a more expensive model. Go old school with a wood bat from Rawlings. Made from m.aple, Rawlings guarantees each bat features a -3 drop. This economically priced has a pro cupped end which allows the bat to have a superlative swing to weight ratio. The bat has a medium cup size meaning it less than 2.5 inches. 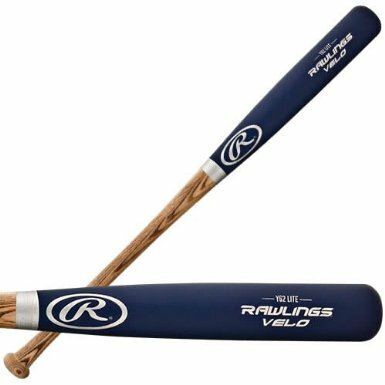 Designed to have a bigger sweet spot Rawlings recommends this bat for those who want to increase their swing speed while maintaining a balanced approach. The bat is available at 31,32,33 and 34 inches and for an extra $10 you can have the bat engraved. So say goodbye to the ping and swing like the pros do with this chape -3 baseball bat. This BBCOR approved bat with a -3 drop features a 2 ⅝ inch barrel diameter and a thin 31/32 tapered handle. It is made from 7046 airplane alloy and has a one piece design. The Easton Typhoon’s brace barrel technology locates the critical spots in the bat and reinforces them, which is how it is able to meet BBCOR requirements. The bat is available between 29 and 33 inches and comes with a full 12 month manufacturers warranty. Those who have purchased the bat give it solid marks across the board, with some saying it provides as much pop as much more expensive bats. While Louisville Slugger is known for the wood bats, they also have a very extensive line of aluminum and composite bats. The Louisville Slugger TPX Warrior featuring a -3 drop is one of their cheaper bats, but it is still BBCOR approved, making it eligible for high school and college play as well as certain adult leagues which require this certification. The bat has 31/32 inch tapered handle with a synthetic grip. It comes with a 12 month warranty and has a vibration cancelling end cap that actually locks in that energy creates more power on contact. The bat gets high marks for its lack of vibrations and durability from those who have bought.